Have you ever watched someone do a firefly pose and thought, Ouch? At first glance, yoga and sleep might not seem like natural partners. Sure, yoga has become one of the more popular and accessible exercises around, and there’s evidence that exercise helps us sleep. But many of yoga’s twisting poses look more strenuous than relaxing—and what about those of us who aren’t exactly athletic or flexible? Luckily, a perfect king pigeon pose isn’t required to reap yoga’s sleep-related benefits. Poses might be yoga’s most recognizable component, but these physical routines are just one part of a rejuvenating practice. Meditation has always been a vital component of yoga, and while complex poses like the firefly are best left to seasoned practitioners, yoga’s rich, 5000-year-old meditation traditions are accessible to everyone. Did you know that the physical components of yoga, including the poses or asanas, began as a supplement to meditation? In fact, the name yoga itself points to the importance of an internal practice: it comes from the Sanskrit root yug, “to yoke or join” and “to use purposefully,” and over time, the concept of yoga has come to mean spiritual discipline. Traditionally, meditation is vital to cultivating that discipline. In the 2000-year-old Yoga Sutra, one of the essential works of yogic philosophy, the Indian sage Patanjali lists meditation as an essential stage in a yogi’s journey to enlightenment. Other steps, such as the asanas, trained the body for the equanimity that concentration and meditation then consolidated. Together, the eight stages or “limbs” of the yogi’s practice—including the asanas and meditation—created a deep, expanded consciousness that allowed a practitioner to reach samadhi, or a state of self-actualization. You’ve probably heard of the different physical yoga styles, like Bikram, Hatha, Ashtanga, Iyengar, and so on. Similarly, there are a lot of techniques for yoga meditation. Central to all those methods, however, are the idea of prana and the importance of the breath. Let’s take a detour into the spiritual side of yoga meditation for a second. In yogic philosophy, prana refers to the life force that flows through all living beings in the universe. For humans, prana is entwined with the breath—after all, we die when we stop breathing! That’s why there’s a strong emphasis on breath in yoga: since the breath is tied to our energy and life force, then it followed that we could better harness and improve the flow of that life force by controlling the breath. Pranayama, or controlled breathing, is another of the “eight limbs” of yoga, and it’s fundamental to yoga meditation. When you focus and regulate the breath, you establish a close link between your body and your state of mind. That then places you in an ideal position to contemplate your thoughts, your feelings, and your surroundings with an expanded, deliberate awareness. Wait, Do I Need to Convert to Yoga or Something? The practice of yoga has deep, sprawling spiritual roots. From the Rig Vedas and the sutras, and then on to influences on and from different strains of Hinduism, Buddhism, and more, there’s a lot of philosophical, spiritual, and even mystic elements that have now become folded into the concept of yoga. While an understanding of these dimensions of yoga can certainly enrich your own personal practice, there’s the crux of it: your practice is personal, and how you choose to go about it is your decision. Nobody’s going to force you to convert to anything (because yoga, first off, isn’t a religion), nor will anybody revoke your “yoga practitioner” card if you’re not interested in, say, learning more about Patanjali, Hinduism or Buddhism, or other related principles. What Are the Benefits of Yoga Meditation? We’re no strangers to longtime practitioners talking nonstop about how yoga has changed their lives, and we bet you can relate. Pop into any yoga studio and chances are, you’ll find a flood of anecdotal evidence about how yoga calms the mind, boosts willpower, and so on. But you don’t have to your local yoga moms’ word for it. Tons of scientific studies have also been conducted to examine yoga’s—and yoga meditation’s—various effects on our bodies, mental and emotional health, and overall well-being. Even if we limit our survey to studies related to sleep problems and sleep quality, there’s still a mountain of evidence pointing to yoga meditation as a beneficial practice. 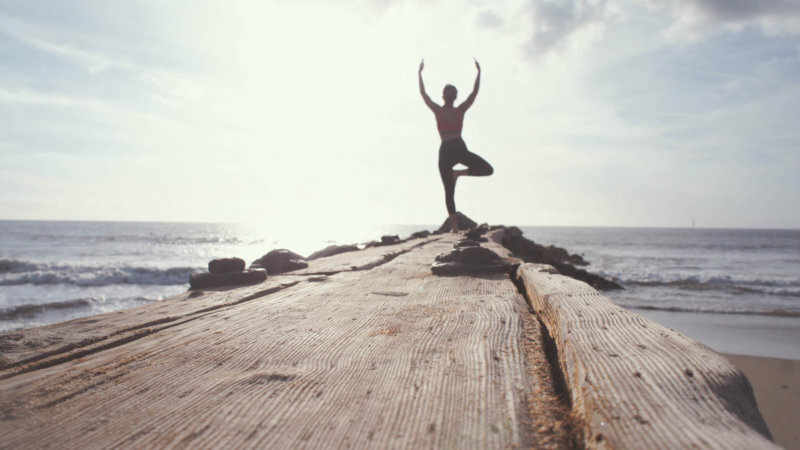 Mental health, for example, is closely linked to sleep, and studies show that yoga can help soothe illnesses like anxiety and depression, as well as reduce pain. Even physiological responses to stress, which often disrupt your sleep, can be soothed by yoga meditation: studies show that yoga can reduce blood pressure, lower heart rate, and—here’s that pranayama at work—ease respiration. Yoga and yoga meditation have also been shown to support long-term changes that can lead to better sleep. A 2012 scientific survey, for example, reported that yoga motivates people to exercise more and eat healthier—and as we’ve seen, both exercise and diet can have tremendous effects on how well we sleep. Even practitioners who are otherwise sedentary have been shown to enjoy greater fitness, mood, and overall quality of life following the adoption of a regular practice. How Do You Start Yoga Meditation? As we said above, there are a variety of yoga meditation methods. The good news is that most are easy to try, at home or otherwise. You won’t need special equipment, prior training, or expert instruction—just a few minutes to yourself, a quiet place, and a readiness to start. This is one of the most common techniques, and it’s the closest to many traditional pranayama practices. You focus your attention on your breath—observing its flow and cadence, noting the sensations it produces. If you’re struggling to maintain focus, you can also count your breaths, nudging your mind to stay engaged with each inhalation and exhalation. The keyword here is observation. You’re not setting out to forcefully slow your breathing or judge its effects; over time, as you settle into your body’s rhythms, the calming of your breath–and of the rest of your mind and body—will follow. If breath observation works for you, consider looking into mindfulness meditation as well. (We’ve got a list of great resources here.) Observing the breath is central to the related practice known as vipassana, a kind of mindfulness meditation, and learning more about this tradition might be a great way to develop your personal meditation practice. This method involves choosing an object or an image that you can use as a drishti or focus. 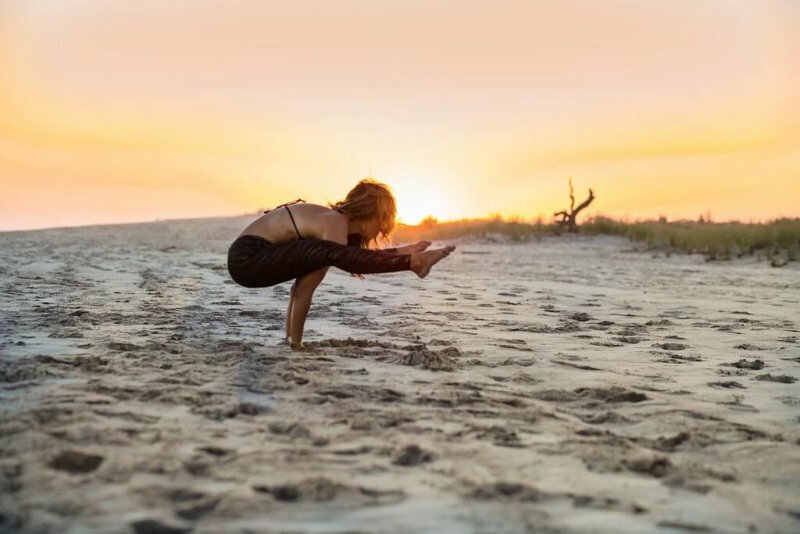 If you practice certain styles of yoga like Ashtanga, you might be familiar with the term: many styles emphasize fixing your gaze on a specific point as you go through a series of poses. Employing a drishti in yoga meditation is similar: you pool your attention on your preferred focus—candles are a common choice—and use it to anchor you as you meditate. Some techniques will prescribe positions for your eyes, but most of the time, you can simply maintain an even gaze. If you can’t stand absolute quiet, this might be the method for you. Rather than a visual focus, you use a sound instead. This is where you get the famous “Om,” though you can pick a different sound. You can even pick a phrase or affirmation—something like, “I am present” or “I am thankful”—that suits your purposes. As you meditate, you simply repeat or chant your chosen sound. Like the drishti in gazing meditation, the sound serves as a constant that anchors and grounds you. If you balk at the thought of inactivity, or if you just don’t get much opportunity to sit still for significant periods of time, this technique might be a great fit for you. Active meditations like walking—or a physical yoga session, if you’re so inclined—can be a great way to develop your mind and body as a single unit. The goal (and challenge) here is to use each action as your focal point. Through deliberate movement and constant awareness of your sensations, your body can serve as a focus in the same way that the breath or a mantra can do the same for other techniques. While you’re free to dive right into a new yoga meditation practice by yourself, some guidance can be a good thing. We can’t send you on an all-expense-paid trip to an ashram in India, but we can give you a list of informative, accessible, and free resources to help you get started. 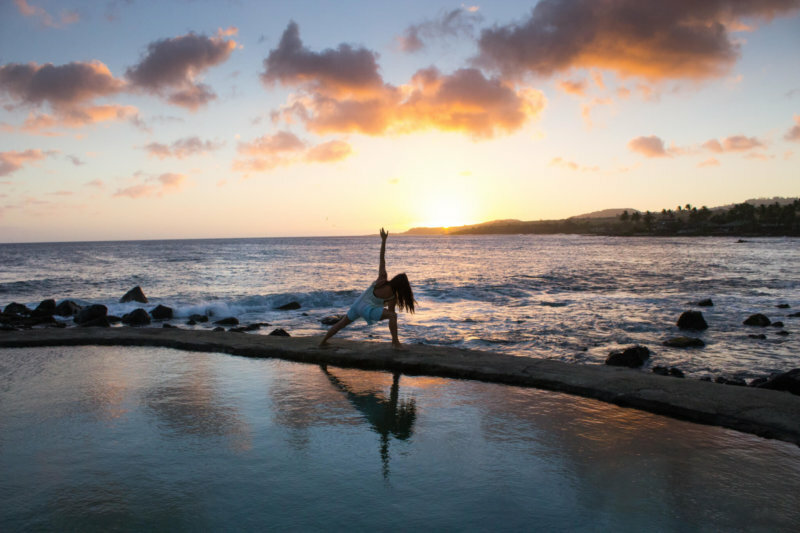 Check out our favorite yoga meditation blogs here!